31C: a glass vessel for storing warmth. 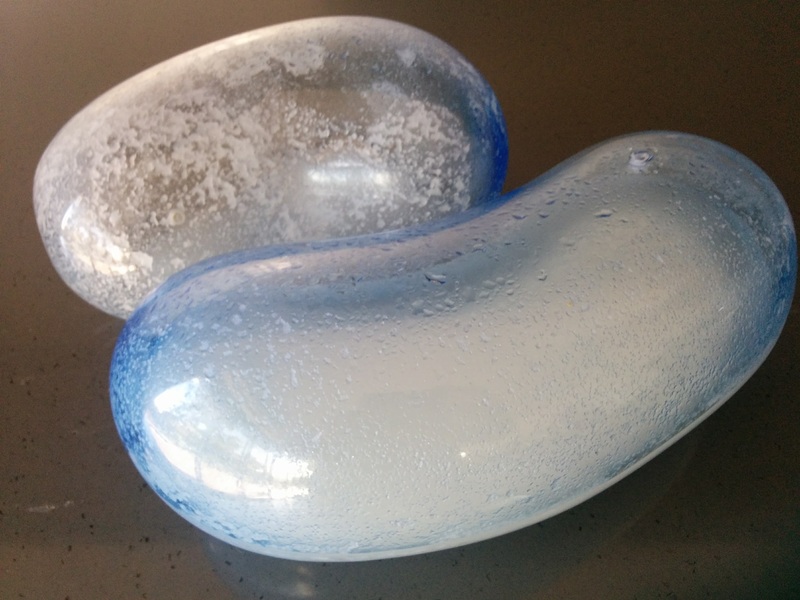 Hollow glass forms containing phase change salts with a melting point of 31C. This work is a further exploration of sustainable objects and fine arts, which began with 22C: a Vase for Storing Warmth, 17C: a Glass of Coolth and the Wall of Phase Change Tiles. In this case we are using a salt that melts at a much higher temperature of 31C. Winter days in Canberra have clear blue skies and lots of sunlight, but temperatures are frosty . The salts inside will melt in front of a sunny window during the day, and keep the glass at 31C for many hours during the night, providing a place to warm your hands. Could this test-tube like prototype be extended to a glass Trombe wall containing phase change salts ?